Bangladesh 6-309 (Shamsur Rahman 96, Naeem Islam 63, Nasir Hossain 44*, Mitchell McClenaghan 2-65) beat New Zealand 5-307 (Ross Taylor 107*, Colin Munro 85, Mahmudullah 2-36) by four wickets. The Black Caps scored 307 runs for the loss of five wickets after 50 overs and the Bengal Tigers amassed 309 with four wickets in hand and four balls to spare. Shamsur Rahman (Bangladesh) was announced ‘Player of the match’ for his match winning innings of 96 and Mushfiqur Rahim was declared ‘Player of the series’. The third and final One Day International was played on Sunday, November 3, 2013, at Khan Shaheb Osman Ali Stadium, Fatullah. Shamsur Rahman – A match winning innings of 96. Earlier, the skipper of Bangladesh, Mushfiqur Rahim, won the toss and invited the Kiwis to bat first. Anton Devcich along with Tom Latham provided a rising start to the tourists by scoring 66 in 13.2 overs before the first lost his wicket for 46 with 8 fours. Latham was gone for 43 and the third wicket fell at 101 when Ross Taylor and Colin Munro stabilised the innings. The duo took their time to settle down and later on picked up the run rate while Munro reached his second ODI fifty. Taylor attained his half century in the 44th over and his partner left the scene for 85 in the same over. Taylor hit three consecutive sixes in the 47th over, continued with the firework and smashed his 8th ODI ton in the final over. He remained unbeaten for 107 off 93 mere balls with 3 lofty sixes and 9 fours as the Black Caps managed 5-307 in 50 overs. Mahmudullah picked up two wickets whereas Rubel Hossain, Sohag Gazi and Abdur Razzak shared one wicket each. Shamsur Rahman and Ziaur Rahman took off smartly by scoring frequent boundaries and gathered 61 in 7.4 overs. The latter was gone for 22 and was replaced by Mominul Haque. 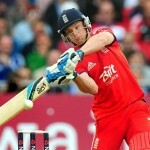 The first attained his maiden ODI fifty in the 14th over with a six and continued his blast in the following ones. Mominul Haque was caught and bowled by Devcich for 32 while Shamsur Rahman missed his hundred by just four runs. He was dismissed for 96 off 107 balls with 4 big sixes and 7 fours as the score touched 204 in 34.1 overs. Naeem Islam and Nasir Hossain took the responsibility of meeting the target while the first got his fifth ODI fifty in the 38th over. The hosts required 68 runs to win from the last 60 deliveries as Naeem Islam was run out for 63. Nasir Hossain held his end for 44, Sohag Gazi was at the other side at 16 as the Bengal Tigers hammered 309 for the loss of six wickets in 49.2 overs. Mitchell McClenaghan was the top wicket taker with two whereas Corey Anderson, Nathan McCullum and Anton Devcich held one wicket each. Bangladesh triumphed in the encounter against New Zealand by a margin of four wickets and snatched the series 3-0.